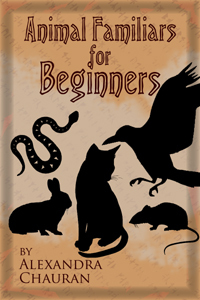 The book Animal Familiars for Beginners by Alexandra Chauran is an excellent book for beginners in Wicca and witchcraft. This book while it focuses on the aspect of working with animal spirits in magic and ritual also covers most of the basic concepts in Wicca. This book overall covers the 8 sabbats, spells, meditation, trance, and spirit work. The only aspect of Wicca that is not covered is deity worship which was not the focus of this book. By eliminating the focus on deity chants and the worship of deities the author was able to touch on basically all Wiccan principles and focus on the work of the book which is connecting spiritually with animal spirits. One of the definitions of a witch is “One who has a familiar spirit”. In the media there have historically been images of cats, snakes, spider, and bats as witch familiars. Witches and animals who help them in their work have been a part of witch lore for centuries. Often times today modern witches wonder if the idea of working with a pet as a familiar comes from the witch trials or if it comes from an actual historical practice and if one can work with their pets as a magical ally. The introduction of this book provides excellent insight into what sort of materials you will find within the book. The author first starts off by talking about her personal experiences with animals both spiritual and mundane. The author then goes on and explains what many of the benefits found in the book will be, Finally the author ends with providing a few different real life examples of people who have had experiences with animal familiars. The mixture of history, personal experiences (the authors and other people) and the exercises provide powerful insight to what this book has to offer. The first chapter of this book covers the history of witches and familiars. The author covers stories from Shakespeare to a few tales of shape shifting in the witchtrials. The author covers here why witches have familiars, what they are, and a few of the forms they can appear in. This is the first time the author mentions the possibility of working not at all with physical animals but animals who may not exist such as Dragons, unicorns, Mythical serpents, and the like. Here we are introduced to the idea that the types of spirits witches can work with are not limited to just those who live and breathe in our worlds. The second chapter is one that most modern witches and pet owners should really look into. This was the chapter that struck me the most. Like most witches I am an avid pet owner and I have worked some magic with my pets. This chapter in the book gave me new reasons to consider the possibilities of working with my pets within ritual and the home. The key points included in this chapter were things I might not have thought about such as adaptations that a witch may need to make in their practice to have their animals p[resent such as no incense for birds and the need to move altars to places where cats or dogs wont jump on them or knock over the candles and cause fire. 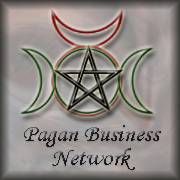 The second chapter focused on animals within Pagan homes and how one can work ritual with them. The chapter ends with a simple spell that can be used to find more pagans who are pet friendly considering that some may have allergies and the like. The third chapter is probably where the reader can most clearly see the Wiccan elements of the book. This is the chapter on actual rituals with pet familiars. Here the author discusses the basic components in Wiccan ritual and how you can work with animal familiars. The circle casting involves animal spirits rather than direct elemental spirits which can be a drastic change for most who practice Wiccan style rituals. After discussing the circle casting the author then provided several different types of spells and rituals that can be performed with pets or other animal familiars.The author then provides two different examples of how wildlife can be used and seen as a focus for the Wheel of the Year. There are sample rituals and concepts provided through out the chapter. The fourth chapter discusses totem animals and how they can also be considered spirit familiars. The author starts this chapter off with a description of a Marine who got a wolf tattoo after his service. The author provides the story as an example of how as humans we can take on the characteristics of animals both positive and negative. The author the provides a few working examples of how we can use totem animals for strength and courage as well as other aspects we may need to bring out of ourselves in our day to day life. The author then goes into shape shifting as a historical practice and about how we can find our totem animals. Finally the author touches on animals as spirit guides and guardians in meditative work. The fifth and final chapter in this book is a book on working with wildlife. Earlier in the book the author discussed and mentioned working with incarnate animal familiars. These are animal familiars who we may work with that are not physically present in our lives. Here the author talks about doing meditative practices outside in nature to connect with the animals. The author provides a few examples of how you can work in nature to work with wild animals as familiars and how you can give back to them. Though this is a very short book each chapter provides significant information for a beginner to get started with. The chapters are concise while providing the needed information. This allows the reader to have a starting point for beginning their journey and allows them plenty of room to have their own experiences and develop their practices from there. This will allow people of any experience level to gain some insight from the book and be able to try new things.